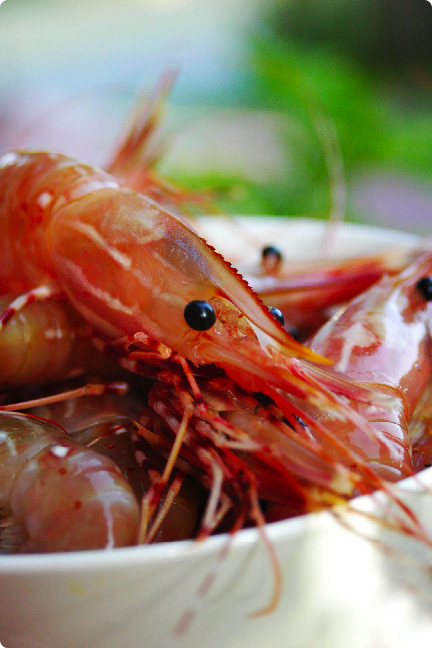 Local Spot Prawns are in season! And they melt in you mouth – just like lobster! I have created a simple and delicious green salad with a honey herb vinaigrette topped with you know what! Enjoy some of the best of our local delights here in Vancouver. Add in a slow steady stream whisking constantly 8 TBSP extra virgin olive oil. Taste and adjust seasoning. Add a pinch of finely chopped parsley/ cilantro. Toss with fresh local greens (Mizunia, Rocket, Red Leaf etc…) Divide salad on four plates. Place prawns in a bowl. Add paprika, toss and coat evenly. Place large frying pan (preferably cast iron) on medium high heat. Add prawns and stir-fry for four minutes. Remove from heat, place prawns in a bowl. Toss with lemon zest and parsley. Arrange prawns evenly among 4 plates, sprinkle with more parsley if desired.